"Regarding your question: Is it not true that by service I am with you? It is very correct. 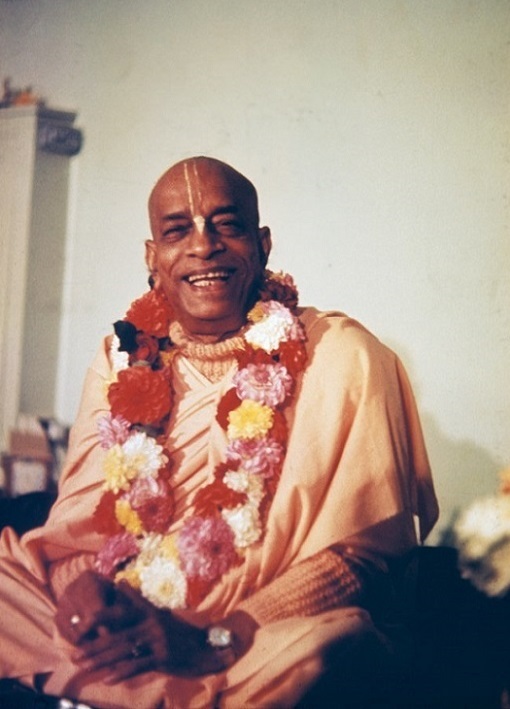 You are not only in connection with me, but you are connected with the whole posterity, up to Krishna. It is so nice thing. By service only, we are connected. As it is stated in the Srimad-Bhagavatam, 'Sevon mukhe hi jihvadau svayam eva sphuraty adhah.' So the presence of Krishna is always everywhere, but it is simply manifested by your service. That is the technique. 'Sabhung Kalidumbrum' everywhere Brahma is present. Just like everywhere there is electricity. It is the technical art that brings out electric power from everywhere. So by service, you are not only in touch with me, but my Predecessors, the Acaryas, up to Krishna."